We are very thankful for local businesses in the community reaching out and creating special offers to support the culture of self-publishing. We know many of you are printing this week, and we hope this helps you out! They are very, very close to the LAZF 2015 venue, so it’s a good chance to get familiar with the area and support locals. 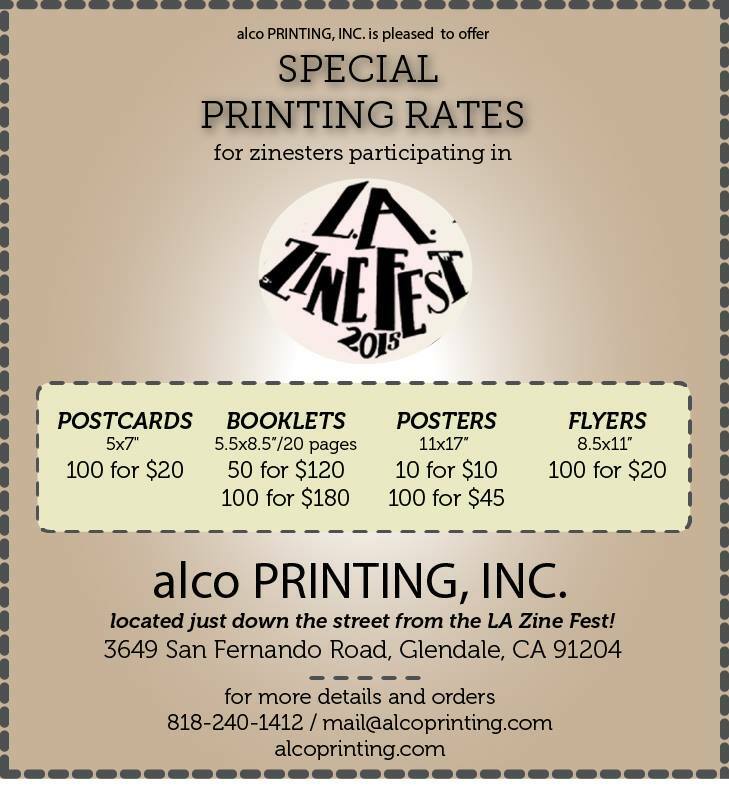 < L.A. Zine Week Starts This Saturday!